The masjid is the heart of a Muslim community. It ensures that the worship of Allah is established, His negligence is removed, and the education of a community takes place. 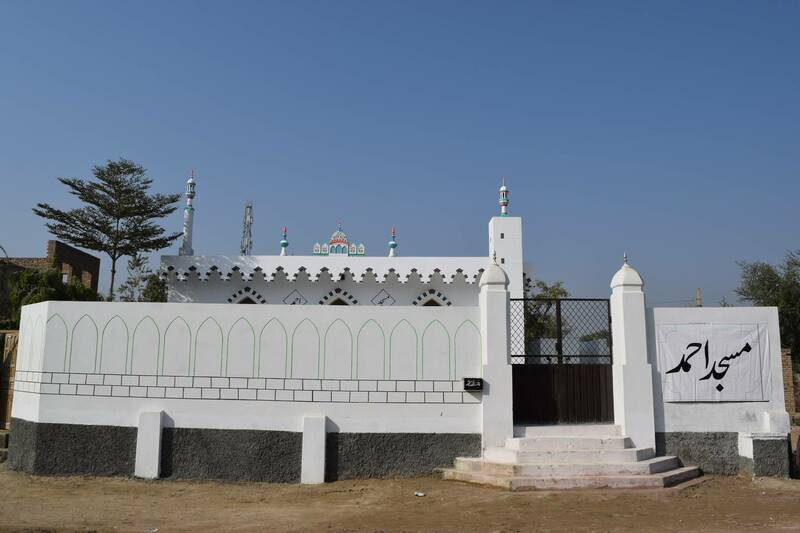 Alhamdulilah during 2018 Ummah Welfare Trust (Pak) has successfully constructed 23 masajid in areas of Khyber Pakhtunkhwa, Punjab and Sindh provinces of Pakistan and 4 Masajid in villages (Nasirano Kali, Juma Khan Kali, Kul Makian, Zakir Sharif) inside Kandahar province of Afghanistan. 28 masajid in Pakistan and 1 masjid in Afghanistan are under construction and will be completed soon. The project will significantly increase the number of Muslims offering their congregational prayers five-times-a-day with utmost ease. To help promote piety and righteousness amongst the believers, Ummah Welfare Trust (Pak) builds masajid in poor communities across the Pakistan & Afghanistan. You can construct a small or large masjid with Ummah Welfare Trust (Pak), and earn much reward. You can donate your Sadaqah and Lillah for a whole masjid, or just a part of it.